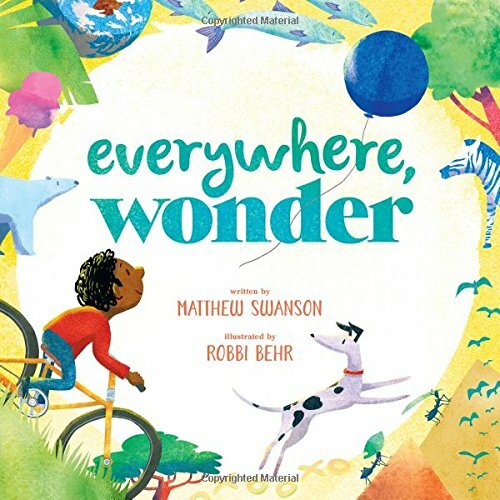 This lovely picture book will help readers appreciate the wonders that exist all around them. A young boy explains that the wonders can become our stories, but first we have to stop to notice them. This book may spark curiosity and inspire readers to tell their own stories. The gorgeous illustrations show that the world is an interesting place, full of beauty even in places we don't think to look. Lucia's parents have recently gotten divorced and her mother has moved to Sweden. After a summer away, Lucia returns to discover that two of her friendships have begun to fade. Lucia's life becomes even more complicated when her dreams start to blend with real life and strange things that happen to her seem to be related to her moonstone. Reality is blended with fantasy in this novel that will keep readers interested in figuring out the mystery behind Lucia's dreams. 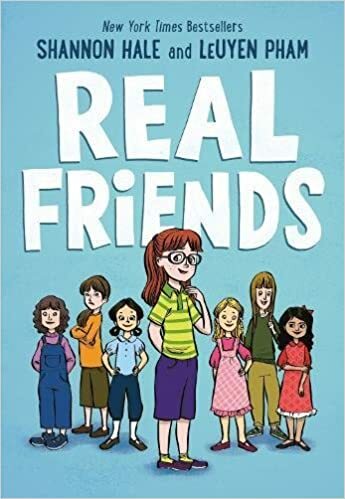 This is a wonderful story about discovering what true friendship really means and having the courage to just be yourself. The book will be available next month. Olga is a very small, slightly grumpy girl who thinks animals are way better than humans. This book is her observation notebook, as Olga wants to someday be a scientist. 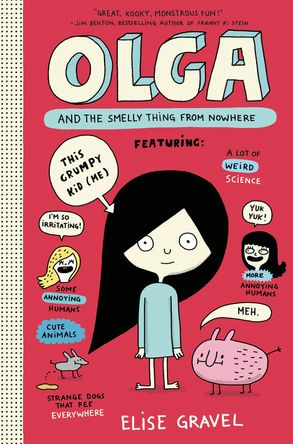 Olga's discovery of a strange, smelly creature leads her to find friends and realize that humans may not be so bad. Young readers will find humor in the illustrations and the many words related to bodily functions that appear throughout the book. Because this book is shorter on text and heavier on graphics, I think it will appeal to many of my reluctant readers. This graphic novel is based on Shannon Hale's childhood and highlights challenges of growing up that many young readers will relate to. In the story, Shannon has difficulty fitting in and making true friends. Shannon's early interest in storytelling is also evident within the story. The author's note at the end provides more insight into Shannon Hale's childhood and her decisions in writing her memoir. Knowing the popularity of El Deafo by Cece Bell and other graphic novels among my students, I think this one will be well liked as well. This book will be published at the beginning of next month. All new to me, Lisa, and each one looks good in its own way. I especially like the idea of Real Friends. It might touch some kids who are struggling with making friends. Thanks! The format will make it appealing, too. I can't wait to get Real Friends. I'm guessing it will be loved by fans of Cece and Raina! Olga sounds delightful--I really love Elise Gravel. 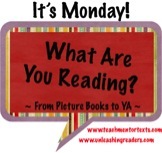 Both are books that I think will appeal to those more reluctant readers. It's definitely a needed invitation in the midst of our busy lives! All of these titles look awesome! Can't wait until Spring Break comes so I can spend some time reading! I'll have to look for these at the library. Reading during spring break sounds like a great plan! I cannot wait to have Real Friends in my classroom library--kids are going to love it! 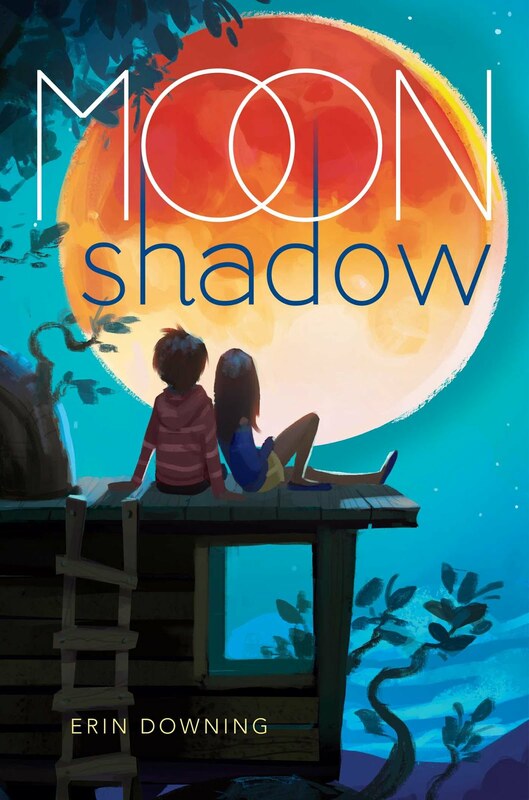 Moon Shadow was recommended to me by Michele K, and I cannot wait to read it! The newest graphic novels are always a must-buy because my students just adore them. Can't wait to read Real Friends. This will be a must buy for me too. I have an ARC of Moon Shadow - thanks for this reminder to read it! I'll probably buy Olga but it wasn't my personal favorite. I liked Moon Shadow; I have more readers who want magical realism these days. Requested copy of Real Friends from public library; thanks for the reminder!